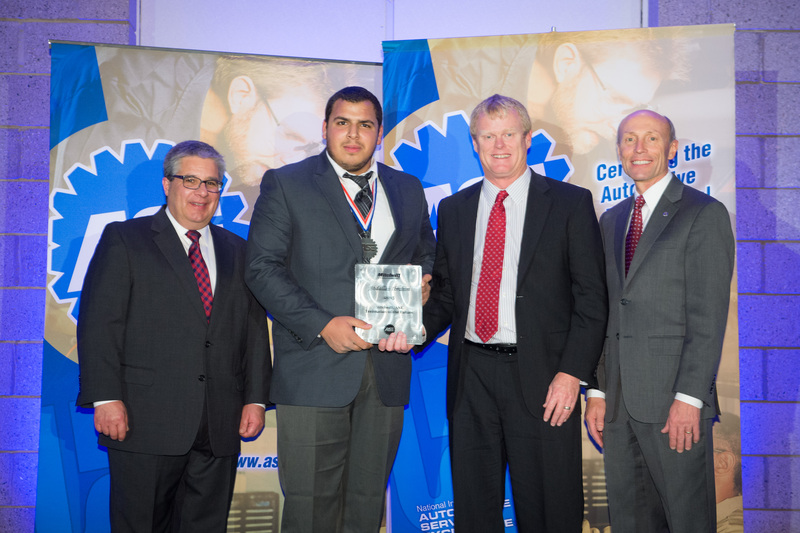 Abdallah (Abdul) Ibrahim of Wiggins, Colo. was named the Mitchell 1/ Automotive Service Excellence (ASE) Technician of the Future as part of the 2015 ASE Fall Board of Governors Meeting and Annual Technician Awards, held November 17-18 in Scottsdale, Ariz. The award package from Mitchell 1 includes a $500 cash prize, a $2,000 gift certificate for a one-year subscription to ProDemand® and roundtrip airfare and accommodations for Ibrahim and a guest to attend the ASE Board of Governors meeting. Ibrahim has been an automotive and diesel technician for three years. He is currently working with his father at his auto shop in Wiggins, Colo and attending Northeastern Junior College in Sterling, Colo. where he is working toward an associate’s degree in diesel service technology. He also holds an associate’s degree in automotive service technology from Morgan Community College in Fort Morgan, Colo.
To qualify to win the Mitchell 1/ASE Technician of the Future award, the winner must be ASE-certified, must have registered as a student, be under 30 years old and have the highest cumulative test scores on the A4, A5, A6 and A8 tests. Left to right: Greg Gaulin, ASE board chairman; Abdul Ibrahim, Technician of the Future; Ben Johnson, director of product management for Mitchell 1; and Tim Zilke, ASE president & CEO.